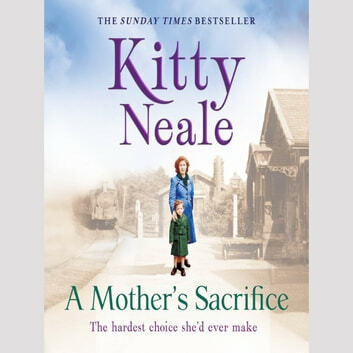 **A gritty and emotional family drama, from the Sunday Times bestseller. Perfect for fans of Nadine Dorries and Katie Flynn. ** BEATEN Glenda Jenkins has been beaten by her husband Harry one too many times – and this time he’s put her in a hospital bed. Battered and bruised, Glenda slowly makes her recovery. But she fears what awaits her back at home… BROKEN When Glenda meets kind hospital porter Frank, he offers her a lifeline she can’t refuse. The pair decide to run away together, escaping the terror of Harry. But, fearing for her life, Glenda has to make the biggest sacrifice of all and leave her baby, Johnnie, behind. BEREFT Safe on the Kent coast, Glenda finally has the life she dreamed of. But without Johnnie, she’s a broken woman. Will she ever see her baby again? And will she ever be able to escape the fearsome shadow of Harry after all?